Being the recipient of prestigious awards is always a great honor for Six Senses Hotels Resorts Spas. And the recent recognition of excellence for Six Senses properties in the Condé Nast Traveler’s 2018 Reader’s Choice Awards is an added celebration, especially as it was the result of voting by the publication’s print and online readers; guests who have experienced the Six Senses resorts first hand. Proudly in the Middle East Region Top Ten is Six Senses Zighy Bay, located on the northern Musandam Peninsula of the Sultanate of Oman. The setting for the indigenous village-style resort and private marina is spectacular, with dramatic mountains on one side and the expansive sandy beach of Zighy Bay on the other. In the Maldives, Six Senses Laamu featured in the Top Ten of the Indian Ocean. 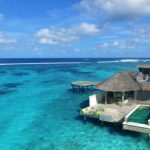 The stunning resort is a combination of on-land and over-water villas constructed of sustainable materials and set around the palm-fringed paradise. 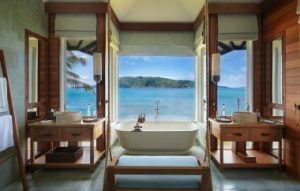 Also recognized in the Indian Ocean category was Six Senses Zil Pasyon which is set on the Seychelles’ private island of Félicité. Completing the triple Top Ten score, Six Senses Douro Valley in Portugal was voted in the Europe sector. This superbly renovated 19th-century manor house set high on a hill overlooks the vine covered rolling hills of the Douro Valley and the river below. 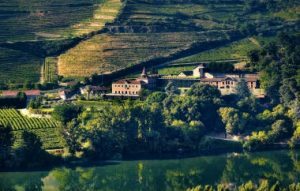 Its serene setting is the oldest demarcated wine region in the world and UNESCO world heritage listed. The Condé Nast Travelers Reader’s Choice Awards are the longest running and most prestigious recognition in the travel industry and are commonly known as “the best of the best of travel.” Nearly 500,000 Conde Nast Traveler readers submitted a record-breaking number of responses rating their recent travel experiences to provide a full snapshot of how and where we travel today. All the winners will be celebrated in the November issue of Condé Nast Traveler on newsstands October 16 as well as online at www.cntraveler.com/rca.